The Panasonic P71 is a super performer with a large 2GB RAM that works with a Quad-Core processor to give you lightning fast performance. With a battery of 2000mAh, you will always have enough charge to multi-task, send emails, or play multiplayer games. Additionally, an internal memory of 16GB that can be extended to 32GB helps you store all your favourite pictures and videos without worrying about slowing down your phone. The Panasonic P71 large 5-inch touchscreen ensures comfortable viewing, and gives you an experience that is easy on the eyes. In addition, with an 8MP camera at the rear and a 2MP camera in the front, you can indulge in your love of photography and experiment with different styles and lighting. How long does the Panasonic P71�s battery last? The Panasonic P71�s 2000mAh battery offers usage of up to 1.5 days on a full charge. What can the memory of the Panasonic P71 be expanded to? The Panasonic P71 has internal storage of 16GB that can be expanded to 32GB. What amount can I avail to buy the Panasonic P71? Bajaj Finserv gives you a loan of up to Rs.4 lakh, using which you can buy the Panasonic P71 as well as a range of other gadgets and electronics. Is the Panasonic P71 a dual-SIM phone? Yes, the Panasonic P71 supports two SIM cards. What are the documents I need to shop for the Panasonic P71 on EMI? You need your ID proof, address proof, a cancelled cheque and an ECS mandate to shop for this phone. If you are looking for a phone that has a good quality camera and a long battery life then you must consider the Panasonic P71. Here, the cameras unite with a 2000mAh battery to give you a phone that keeps pace with your lifestyle. Also, it is available in rich colours such as ivory gold, dim grey, and black. In addition, the Panasonic P71 is as lightweight as it is stylish, weighing just 138g. Moreover, its sharp 5-inch HD IPS screen is designed to make every image come to life. Bring home the Panasonic P71 on EMI by shopping from Bajaj Finserv. The Bajaj Finserv EMI Network allows you to shop for the Panasonic P71 from any of the 60,000 sellers online and offline, across 1,300 cities on No Cost EMIs. Just submit minimal documents such as your address proof, a cancelled cheque, and your photo ID to get in-store financing instantly, or use your Bajaj Finserv EMI Network Card to shop in under a minute. You can access your account information and track your details easily too, by logging into Experia, Bajaj Finserv customer portal. So, purchase your Panasonic P71 on EMI by paying for it in affordable instalments. 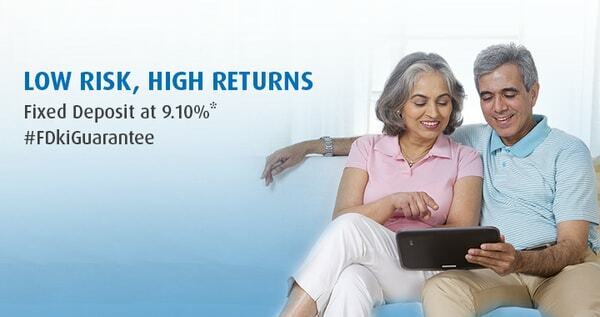 What's more, you can enjoy discounts on MRP and other offers too.